I'm a big cheesecake fan. Love the tangy cheesiness... and haven't had any cheesecake for over two years. Because I don't eat dairy, or gluten, or refined sugar, or processed foods, or soy... I didn't know it was possible to have cheesecake. But I found a recipe for a cashew based cheesecake. And yes, cashews sure ain't cheap. I won't be making this one on a regular basis. But for special occasions? Absolutely! It's everything I could hope for in a cheesecake. Tastes like cheesecake. Doesn't bother my tummy. Is vegan and GAPS diet legal, is refined sugar free, doesn't have any weird/crazy ingredients. And looks pretty too! I based my recipe off of this one. The biggest downside is the cost. Note- I don't have a high powered food processor or blender, so mine ended up a bit gritty, but I assume if you have a better one than I do, yours will be smoother. 1. 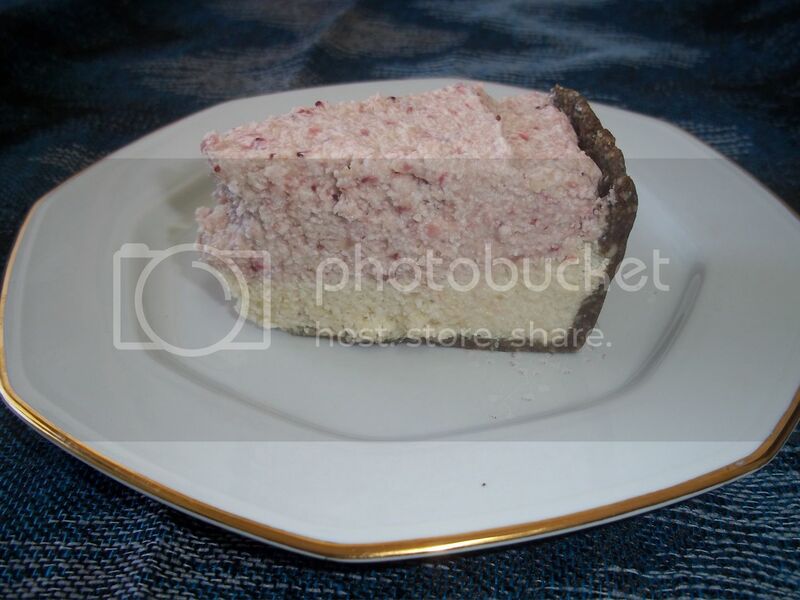 The crust of this cheesecake is pretty much the same thing as larabars. Anything that would work in larabars will work as a crust. Blend up dates and mix with ground nuts or seeds or coconut, and press them into the bottom and sides of a large pie pan. If your pie pan is small, make two. This probably would also work with ground lightly toasted raw buckwheat. 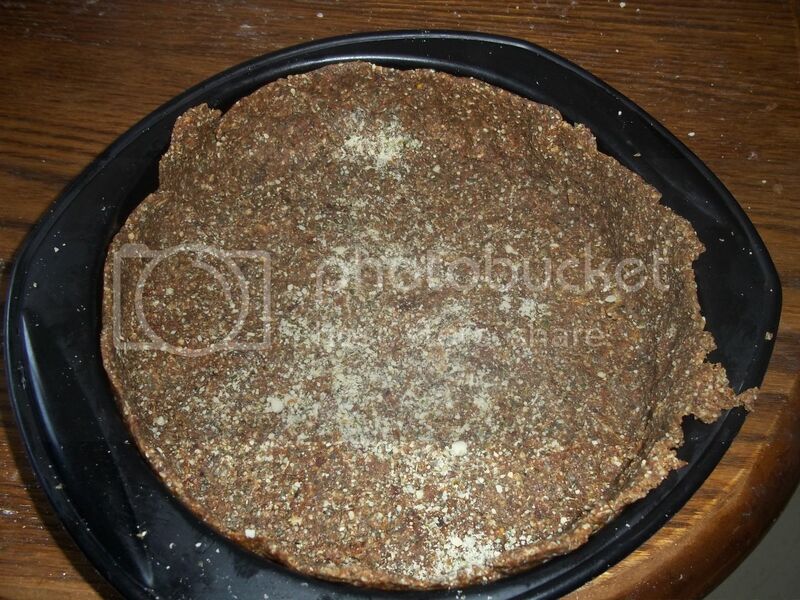 In the picture is a crust made with dates and ground pumpkin seeds. In order to get this into shape most easily, first make the mixture, and then sprinkle some more ground nuts on the mixture if it is sticking to your fingers when you're trying to press it into place. 2. Blend your soaked cashews with the lemon juice, and when that's blended as much as you can, add the honey and coconut/palm oil, and blend some more. Then add the vanilla. 3. Pour half the mixture into the pie crust. If you're not adding fruit, just pour the whole thing in at once. 4. 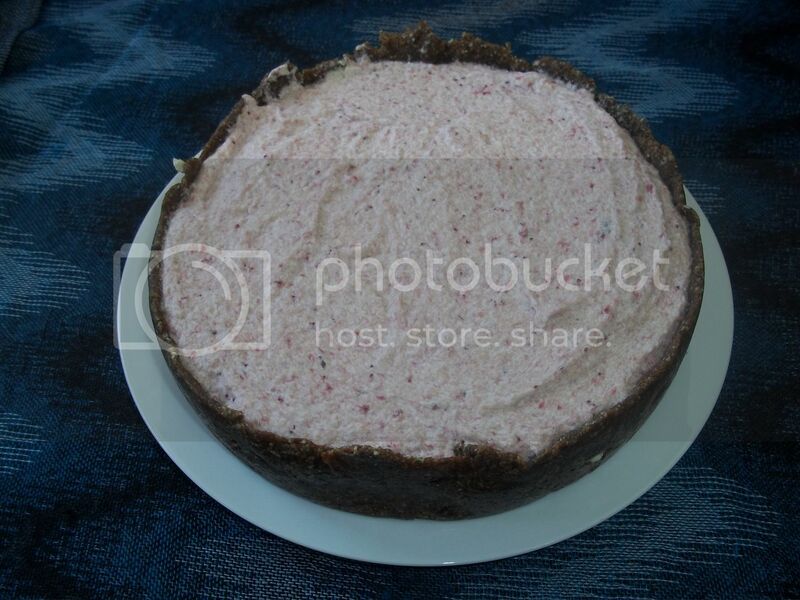 Blend up the strawberries or raspberries with the rest of the "cheese" mixture, and pour into the pie. 5. Freeze for an hour or two minimum. 6. 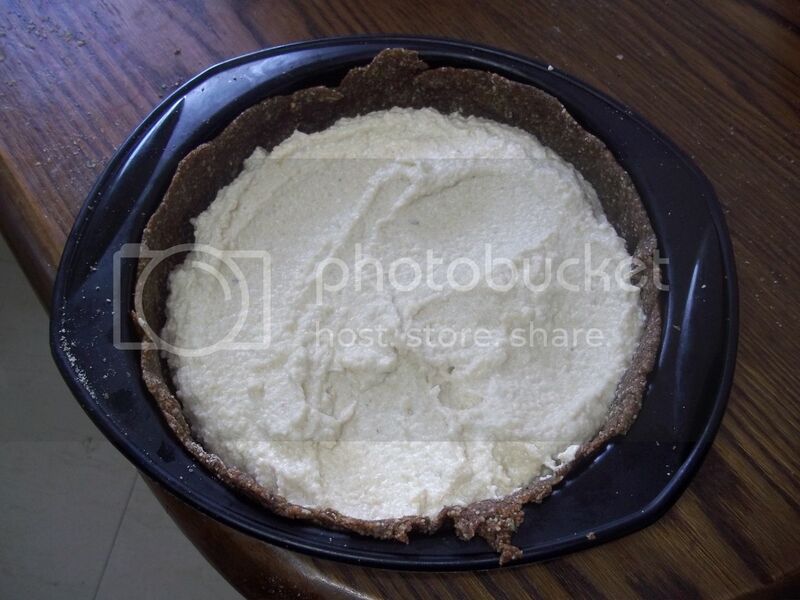 Remove from pie pan. Defrost for 10-15 minutes before serving. Try this one out. It's really yummy- very worthwhile! Just because of the expense, leave it as a once in a while treat, not an every day thing. Are you a cheesecake fan? If so, what is your favorite type of cheesecake? 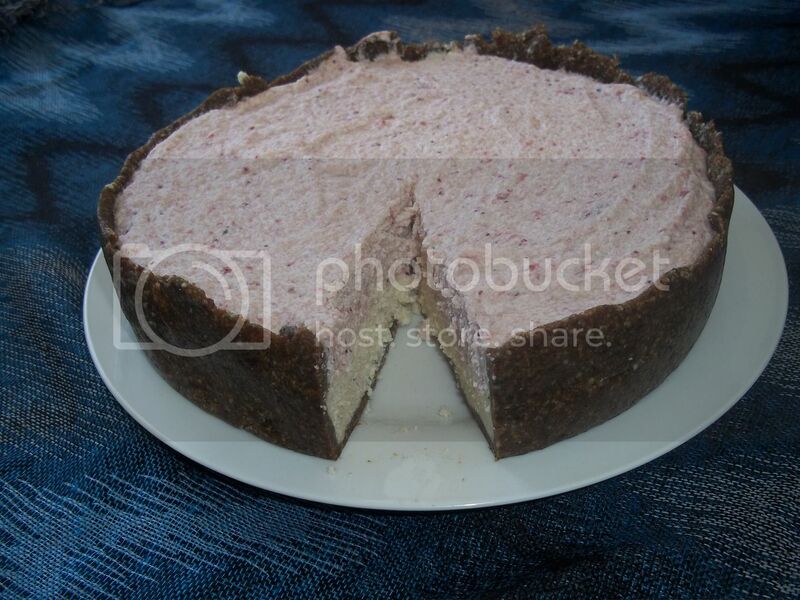 If you're dairy free, have you ever eaten or made a dairy free cheesecake? What's in it? Does this look like a recipe you'd try? I wonder is it nice and smooth like a cheesecake or is it grainy? Unfortunately mine came out grainy, but that's because I don't have a good blender/food processor. But the taste was perfect! 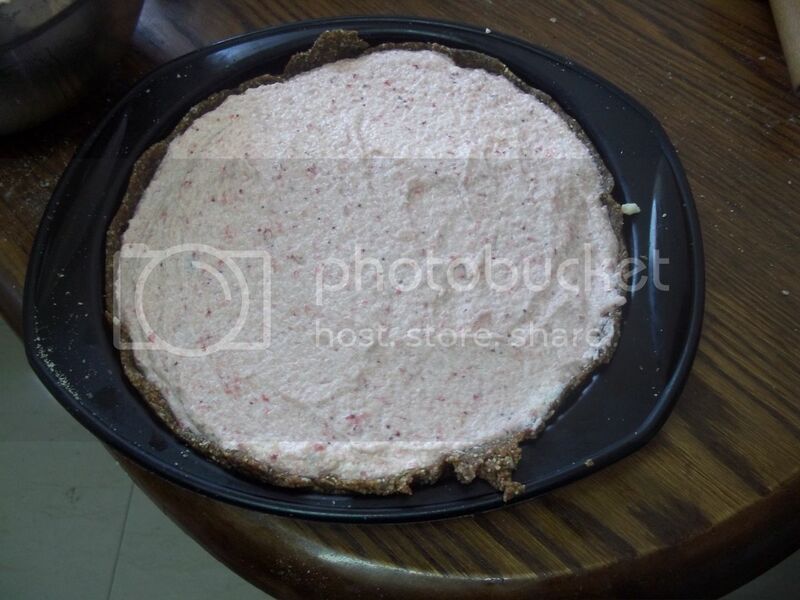 Penny, this cheesecake looks absolutely delicious! The cost is insignificant when you consider comparative cost of the highly sugared and fatty cheesecakes available across the counter. I would much rather pay for the ingredients for this one and like you say have it as an occasional treat. Thank you for sharing. This was disgusting. Texture was terrible and did not taste like cheesecake at all. Please be careful posting recipes that aren't properly tested and wasting people's time and money. I said straight out that the texture was gritty in mine. This was properly tested, you don't like it, and everyone has different tastes. That doesn't make it a bad recipe.